Persons accessing the Meadow Feeds web site, subject themselves to and agree to the Meadow Feeds terms and conditions, as set out below. The information and content made available on this Web Site is provided by Meadow Feeds, detailing information about our company and its services. We make no representations or warranties, implied or otherwise, that, amongst others, the content available on this Web Site is free from errors or omissions or that the service will be 100% uninterrupted and error free. We have taken, and will continue to take, due care and diligence that all information provided on this Web Site is, to the best of our knowledge and understanding, true and correct. However, Meadow Feeds shall not be liable for any damage, loss or liability of whatsoever nature arising from the use or inability to use this Web Site, any information or content provided from and through this Web Site. Information, ideas and opinions expressed on this site should not be regarded as professional advice. Users are encouraged to consult Meadow Feeds before taking any course of action related to information or opinions expressed on this site. This Web Site is supplied on an “as is” basis and has not been compiled or supplied to meet the user’s individual requirements. It is the sole responsibility of the user, prior to entering into any agreement with Meadow Feeds, to satisfy himself or herself that the service available through this Web Site will meet the user’s individual requirements. This Web Site is only intended to provide the user with information regarding Meadow Feeds, products offered and services rendered. Meadow Feeds authorises the user to view, copy, download to a local drive, print, and distribute the content of this Web Site, or any part thereof, provided that: a. such content is used for informational and/or non-commercial purposes only; and b. any reproduction of the content of this Web Site, or portions thereof, must include the following copyright notice: © Meadow Feeds. Users wishing to use any content from this site for commercial purposes may only do so with prior written permission from Meadow Feeds. 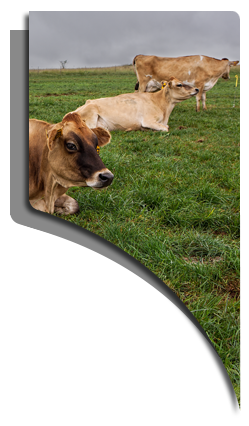 All content, trademarks and data on this Web Site, including but not limited to text, designs, graphics, and icons are the property of Meadow Feeds. As such they are protected from infringement by domestic and international legislation and treaties. Subject to the rights afforded to the user herein, all other rights to all intellectual property on this site are expressly reserved and no license to Meadow Feeds intellectual property has been granted on this Web Site. While Meadow Feeds uses all reasonable efforts to include accurate and up-to-date information on the Web Site, Meadow Feeds makes no warranties or representations with respect to the content of the Web Site Meadow Feeds assumes no responsibility for updating the Web Site or its content or notifying users of information that is inaccurate, incomplete, or out-of-date. Meadow Feeds assumes no responsibility, and shall not be liable for, any damages to, or viruses that may infect, your computer equipment or other property on account of your access to, use of, or browsing this Web Site or your downloading of any materials, data, text, or images from the Web Site. Meadow Feeds will not be held responsible or liable for any interruption or discontinuance of any or all functionality of this Web Site, whether the result of actions or omission of Meadow Feeds or a third party. Meadow Feeds accepts no responsibility or liability whatsoever arising from or in any way connected with the use of this Web Site or its content. Meadow Feeds will not be liable for the accuracy, completeness, adequacy, timeliness or comprehensiveness of the information contained on the Web Site. Meadow Feeds expressly reserves the right to alter and/or amend any information set out in this Web Site without notice. Furthermore, Meadow Feeds may at any time revise or update these terms and conditions. The user is bound by such revisions and should therefore periodically visit this page. No information or data on this Web Site constitutes a solicitation, recommendation, endorsement or offer by Meadow Feeds , but merely an invitation to do business. By using this Web Site or communicating with Meadow Feeds by electronic means, the user consents and acknowledges that any and all agreements, notices, disclosures, or any other communication satisfies any legal requirement, including but not limited to the requirement that such communications should be in writing. Meadow Feeds provides links to third party sites to the user only as a convenience. Such third party information is independent from that provided by Meadow Feeds . Meadow Feeds accepts no responsibility for the content or accuracy or the use of such other web sites and does not endorse, and shall not be deemed to have endorsed or accepted, their contents. Linked web sites or pages are not subject to Meadow Feeds control. Meadow Feeds shall not be held responsible or liable, directly or indirectly, in any way for the contents of such web sites, the use of such web sites, or inability to use or access any linked web sites or any links contained in a linked Web Site. These terms and conditions of use constitute the entire agreement between Meadow Feeds and the user of this Web Site Any failure by Meadow Feeds to exercise or enforce any right or provision of these terms and conditions of use shall in no way constitute a waiver of such right or provision.